According to the American Society of Plastic Surgeons, there were 125,697 facelift surgeries performed in the United States in 2017. This makes facelift one of the most popular plastic surgery procedures in the country. Facelift surgery is incredibly popular and considered generally safe, but as with any surgical procedure it is not without risks. Some of these, such as excessive bleeding, infection, and negative reactions to anesthesia are common with all surgical procedures. Board-certified Phoenix plastic surgeons Dr. Bryan Gawley and Dr. Raman Mahabir help to minimize facelift risks by performing all facelift procedures in accredited surgical centers where your safety and comfort are top priorities. These risks are rare, made more so when you work with an experienced facelift surgeon like our surgeons, but should be fully considered prior to committing to this procedure. Dr. Bryan Gawley and Dr. Mahabir are board-certified plastic surgeons who are committed to your safety and ultimate satisfaction. When determining if you are a good facelift candidate, they will also make decisions about which type of facelift is best for your needs. Our surgeons take the most conservative approach possible while still working to produce optimal results. With all of his facelift procedures, they take the time necessary to guard your physical safety and provide absolute beauty. You can further help reduce risks for complications by carefully following all of your surgeon’s pre- and postoperative instructions. These may include quitting smoking and refraining from certain medications prior to your surgery. Your surgeon will also discuss proper incision care and any physical limitations that will be necessary during your recovery period. During your initial consultation, our surgeons and our staff will be happy to answer any facelift questions you have and honestly discuss both the benefits and risks of this popular plastic surgery procedure. 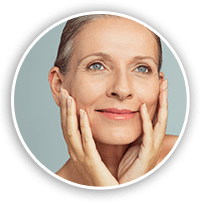 For more information about facelift surgery risks in Phoenix, Scottsdale, Gilbert, Chandler, Glendale, or surrounding areas in Arizona, please contact Gawley Plastic Surgery today to schedule an initial consultation.